– Growth within India’s pharmaceutical and healthcare market will be supported by government’s push towards achieving universal health coverage status. – Ayushman Bharat scheme will have a far-reaching impact on the Indian healthcare and insurance landscape. – The execution of the scheme will face significant challenges. In 2017, healthcare spending reached a value of INR8,576.99bn (USD131.70bn), with USD98.4 per capita expenditure on healthcare. 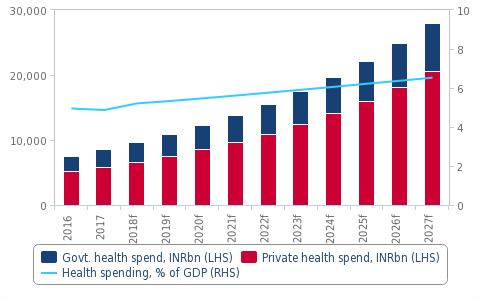 By 2022, we expect health expenditure to have reached a value of INR15,595.88bn (USD225.8bn). 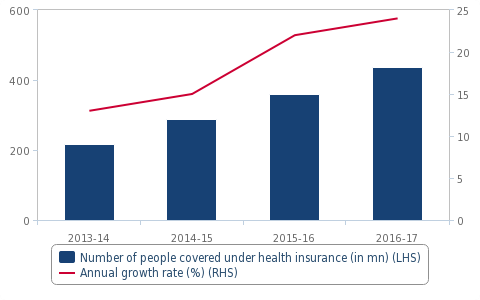 India’s healthcare market represents a significant growth opportunity, aided by regulatory development and healthcare reforms. Healthcare in India is largely underpenetrated. Government expenditure is low at around 1.1% of the GDP with an underperforming public healthcare ecosystem. The cost of healthcare services has a knock-on effect on economic costs. 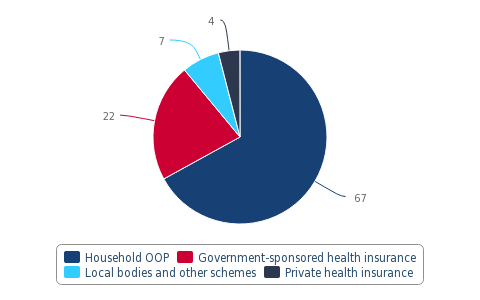 For instance, out-of-pocket (P) health expenses drove 55mn Indians – more than the population of South Korea, Spain or Kenya – into poverty in 2017, and of these, 38mn (69%) were impoverished by expenditure on medicines alone. India spends the least on public healthcare among BRICS nations and the country ranked 147 among 184 countries in terms of quality and accessibility of healthcare according to a Lancet study published in May 2018. Moreover, insurance-based government initiatives have been largely unsuccessful in easing the burden on citizens. Despite the increase in annual growth, more than 80% of the population still does not have any significant health insurance coverage. About 68% of the Indian population has limited or no access to essential medicines. In addition, over the last two decades, the availability of free medicines in public healthcare facilities declined from 31.2% to 8.9% for inpatient care and from 17.8% to 5.9% for outpatient care, according to a Public Health Foundation of India study. Rollout of universal healthcare. One of the major policy initiatives of the government has been the announcement of the Ayushman Bharat-National Health Protection Mission (AB-NHPM) for 100mn vulnerable and underprivileged five-member families. If implemented effectively, this initiative will help the nation move closer to the Sustainable Development Goal of Universal Health Coverage. The National Health Protection Mission will give poor families health coverage of up to USD7,100 every year, which will significantly reduce their healthcare costs. As part of the AB-NHPM, announced by the finance minister Arun Jaitley in the FY2018/19 budget, the government has also committed INR12bn (USD172mn) for the National Health Policy, through which 150,000 health and wellness centres will ‘bring healthcare system closer to the homes of people in remote areas’. These centres will provide comprehensive healthcare, including non-communicable disease, maternal and child healthcare services. These centres will also provide free essential drugs and diagnostic services. The commitment towards strengthening the country’s health system and paving the way towards universal health coverage will also provide volume growth opportunities for drugmakers, given an increase in treatment affordability and, consequently, in demand for healthcare services. While addressing the nation on Independence Day on August 15 2018, Prime Minister Narendra Modi stated that, ‘It is essential to ensure that we free the poor of India from the clutches of poverty due to which they cannot afford healthcare.’ India will roll out the AB-NHPM programme on September 25 2018, Modi stated. This is likely to shore up support ahead of federal elections in 2019. AB-NHPM to improve healthcare provision. The scheme also mandates the adoption of standardised guidelines for treatment which includes improved consistency of care, curbing the tendency to overcharge patients, increase in evidence-based treatment, and uniform billing across centres. All these measures taken together will help in regulating the at-present unregulated hospital and healthcare sector and in ensuring the sustainability of the health insurance sector. 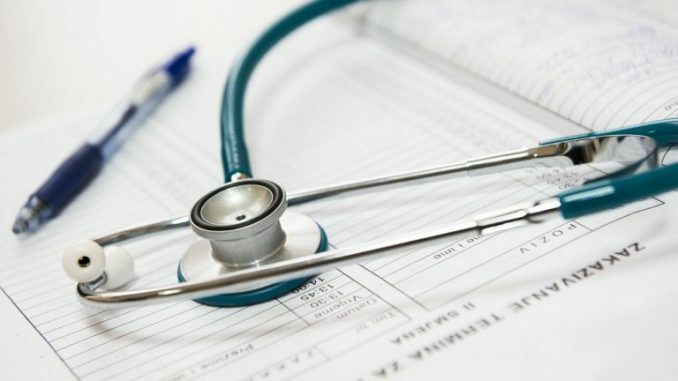 Moreover, AB-NHPM aims to generate repositories on hospitals, providers and other human resource and the insurance sector will be assisted with the management of claim costs in case of fraudulent claims. The data generated during the implementation of the scheme will help in designing better and targeted health programmes in the future. The scheme also aims to better the Registry of Hospitals in Network of Insurance (ROHINI) system through large-scale additions and registration of hospitals. The upside potential for the Indian pharmaceutical and healthcare sector will remain limited. While AB-NHPM is an ambitious plan that could have vast appeal among voters, it also faces major challenges. Even if the government can provide insurance to millions of citizens, the country lacks the healthcare infrastructure to provide even the most basic services for its population. Health indicators such as healthcare provider shortages, particularly in rural and remote areas; poor infrastructure and transport; and a lack of equipment, resources and drugs, are weak compared to other countries in the region and globally. This report from Fitch Solutions Macro Research is the product of Business Monitor International Ltd, UK Company registration number 01763490 (‘BMI’), and/or Fitch Solutions Group Ltd, UK Company registration number 08789939 (‘FSG’). BMI andFSG are both affiliates of Fitch Ratings Inc. (‘Fitch’). BMI and/or FSG is/are solely responsible for the content of this report,without any input from Fitch. Copyright © 2018 Business Monitor International Ltd and/or Fitch Solutions Group Ltd.